Even while Mars Hill Church was appearing to prosper, and while Driscoll was in great demand as a public speaker, all was not well within the Driscoll camp. In October 2007 two Mars Hill Church elders were summarily fired by Driscoll because him deemed them to be ‘off mission’, and therefore no longer suitable for ministry. One elder revealed the shocking details of how he was treated, reporting ‘the harshness, abusive power, anger, manipulation, and control exhibited by Pastor Mark’. In November 2013, during a phone interview with radio host Janet Mefferd to promote his new book, A Call to Resurgence (2013), Mark Driscoll was accused of plagiarism. In the aftermath of this controversial interview, during the following months other examples of Driscoll’s plagiarism came to light. On 8th August 2014, the board of Acts29 Church Planting Network, an organization founded by Driscoll, announced with deep sorrow, its decision to remove Pastor Mark Driscoll and Mars Hill Church from membership of the Acts29 Network. According to Matt Chandler, who had been appointed President of Acts29 by Driscoll in 2012, the reason for this drastic action was that Driscoll was guilty of ungodly and disqualifying behaviour. On Sunday 24 August Driscoll announced to the Mars Hill family of churches that he had requested a leave of absence from the pulpit for a minimum of six weeks while a committee of elders conducted a formal review of charges made against him. So Mars Hill elders concluded that Driscoll’s arrogance, quick temper, harsh speech and domineering manner did not disqualify him from pastoral ministry—this conclusion says much about Mars Hill Church. It is abundantly clear that the elders did not base their conclusion on Scripture. So why did Pastor Driscoll resigned? Is it because the Mars Hill business model, which had suffered a drastic loss of funds, had been so severely compromised that it was unlikely to return to profitability? The Driscoll saga is surely evidence of the truth of the biblical warning that ‘pride goeth before destruction, and an haughty spirit before a fall’ (Proverbs 16.18). In an attempt to rehabilitate his ministry, Driscoll has set up a website to promote his sermons and books. He describes himself as ‘a Jesus-following, mission-leading, church-serving, people-loving, Bible-preaching pastor. He’s grateful to be a nobody trying to tell everybody about Somebody’. He invites donations to help support his past and future Bible teaching. 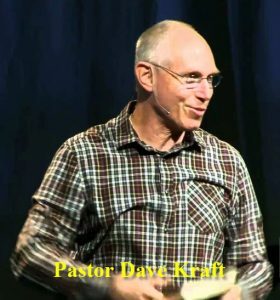 Statement of Formal Charges and Issues by Pastor Dave Kraft, http://wp.patheos.com.s3.amazonaws.com/blogs/warrenthrockmorton/files/2014/03/Statement-of-Formal-Charges-and-Issues-by-Pastor-Dave-Kraft.pdf.